Webmin is a wonderful tool to have on your Raspberry PI and it is quit simple to install. Login into your Raspberry Pi and perform the following steps. After the dependencies are installed in Step #2, Webmin should install without errors. 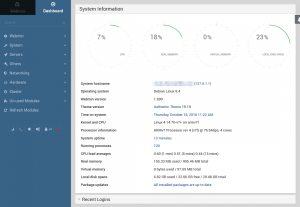 Upon completion of the install, Webmin will display the following showing you how to connect for the first time. to run commands as root." Fire up your favorite web browser and go to the URL listed above. If you are working directly on your Pi, https://127.0.0.1:10000 will do. Login as the user “pi” with your current password. 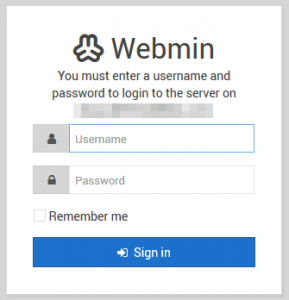 After you login in for the first time, you will be presented with the Webmin Dashboard. Congratulations! You can easily administer you Raspberry Pi from remote!